On Sunday, 17 November 2013 in Tempe Arizona I participated in my very first full Ironman race. An Ironman race consists of a 3.9 km open water swim, a 180 km bike and a 42.2 km run; all that without stopping (hopefully)! Through many years of competing in swimming and triathlon races, I have gained extensive knowledge and the ability to be prepared physically and mentally for this race, but truly nothing can resemble the actually race. 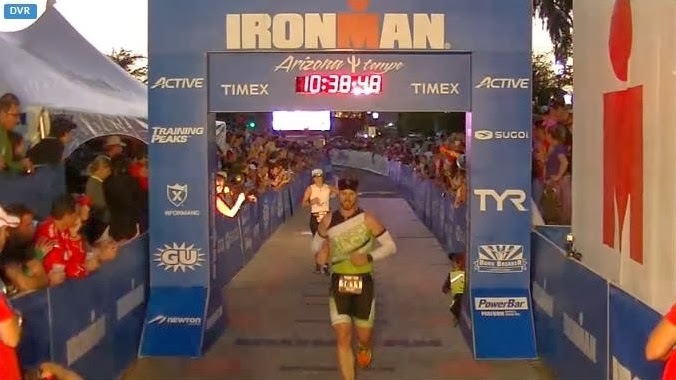 In preparation for Ironman Arizona, this year I competed in 4 half Ironman and 3 Olympic distance triathlons; and in my career as a triathlete, I have participated in over 100 races since I was 13 yrs old, which include Sprint, Olympic and Half Ironman Distance races. A Year Of Prep – I trained for over 1,600 hrs in the pass year, in swimming, biking, running, Crossfit, mobility training, yoga and cross country skiing. I have participated in two high performance training camp and spent countless amounts of money on equipment, training, specific foods, trips, physical therapy and races. Many people have been part of the team that helped me reaching my goals. My coach Patricia Careau from LEAP High Performance has spent countless hours planning and helping me through the year, I have no idea how she managed to do anything else sometimes. 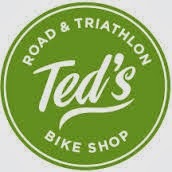 Ted Correa, from TED’s Road & Triathlon Bike Shop has been my bike mechanic; he has changed my perception of bike stores and what we should expect from them. 1st Battalion, The Royal Canadian Regiment and 21 Electronic Warfare Regiment, have allowed me time for training and races. The Personnel Support Programs (PSP) organization added financial support and training facilities, and of course, my family, friends and training partners. The Race Week – I left on Wednesday after work from Syracuse International Airport to catch a flight for Arizona, on Thursday at zero dark thirty. After a long flight and many unexpected financial expenses I finally made it to the hotel and shortly after to the race site for the athletes Check-In. Three days prior to the race, thousands of dedicated volunteers were already working to facilitate this event. I was awed by the organization; I had never seen so many people working so well together and I was treated like a king every step of the way. The next two days were pretty easy, I did some physical activation which consists of a short low intensity workout to test my body and put myself in the environment. Everything felt good, like I was going to have the performance expected. I was ready. The Race Morning – Being my first Full Ironman, I didn’t know what to expect, so I planned to arrive early. Up at 0400, I ate a great breakfast, did my mobility exercises and organized the last prep. Then I left for the race site, arriving at 0530 with plenty of time to do everything I needed to do with spare time, so I thought. But three thousand racers and their families make for a very crowded place. I needed the whole hour and a half to get ready, turn in my “Special Needs Bags”, warm up and get dressed in my wetsuit. The Race – The starting gun sounded, and the racers were off. The first kilometre was a true battle, fighting to stay on top of the water and most important in the front, people were pulling, pushing and hitting. That was nothing unusual for me so I shook them off and swam away; my plan was to stay in control and take it easy. As a strong swimmer I was able to pace myself ending up with a great swim time of 58 minutes. I climbed out of the water and up the stairs and ran to the first transition area where volunteers were ready with my bike bag and after a few short minutes for a change I started off my bike journey. The bike course was unexpectedly challenging. A few days earlier, a woman told me that the way out of the loop was up hill into the wind and had the potential to be very hard, but as an athlete from Ontario, I am familiar with hills. Actually in my previous posting in Petawawa, you can’t go anywhere unless you ride hills, so I laughed a lot and walked away, but little did I knew she was right. The hill was more of a false flat and the wind was around 12 knots, it was a hard and long 30 km on the way out compare to the way back. I was averaging 30 to 35 kph and on the way back it was more like 45 to 55 kph, so I had to modify my plan on the fly. In only 20 km I had move up to the second spot overall. At this point, riding fast was easy because there wasn’t anybody around, but on the second and third loop, everyone was on the race course, three thousand to be exact. In a triathlon you can get penalized if you are caught drafting so occasionally I had to slow down in order to find space to pass. I finally completed the 180 km in 5h05min. I was happy with this time, but expected better. With the traffic and trying to conserve energy, it was still a great time. Then there was the run. After racing over 184 km, you would think that 42.2 km wouldn’t be so bad, but in fact this was almost a nightmare. With a temperature of over 30 degree Celsius, the first 5 km was atrocious. I had to walk most of it having issues with my core temperature, and hydration level. At every aid station I drank 4 or 5 Gatorade cups and ate bananas. Once I regained control, I picked up the pace and by the halfway point I was happy with my progression. Then it went from bad to worse. I hadn’t eaten enough calories to maintain my body so my performance started to decline. My running pace went from 10min per mile to 11min/11min45s, before I faltered completely I had the strength to force myself to eat some gel. Something that needs to be understood is throughout the race the only thing you have to eat are power bars, energy gels and energy jujubes so as you go along, eventually your entire system gets sick of the taste and the textured so the mistake racers make is to stop eating. Well I did it too. So finally after I ate the gel, my energy levels got right back on track, my speed started getting faster and faster, at one point I was running 9min30s to 9min45s. I was catching up and passing some people; it was unreal. I completed the marathon in 4h29mins for a great total of 10h38min. Post-Race – Once I crossed the finish line, a race official approached me to see if I was interested in participating in the Ironman Los-Cabos in Mexico, based on my swim/bike performance, he mention that “they rarely see an athlete of my size doing so well and to top it off, on his first kick at the cat.” I was very happy to hear that, because I had missed the Professional Standard Timing by 38mins and I was thinking of what I could do to perhaps get that time. In conclusion – This race was full of surprises, and unexpected series of events. I now know exactly how a full ironman feels, both physically and mentally. I know what I have to do to get ready, and how to plan my race better. Small details needed to be considered such as, course reconnaissance, follow the nutritional plan even if I don’t “feel like it” and possibly increase the Foundation Miles in order to build stamina. Next Year – My race year looks to be busy, with an early race season start with Ironman Los Cabos at the end of March followed by Ironman 70.3 Syracuse mid June, Half Ironman Peterborough first week of July, Long Distance Triathlon of K-Town in August, Ironman 70.3 Timberman mid Aug, Ironman 70.3 Muskoka in early Sept, and finally Ironman Cozumel at the end of Nov. This year my races are more spread out but that means the training season will be shorter. It the first time I go with this kind of plan and I’m looking forward to see my results.